This adorable family were troopers. 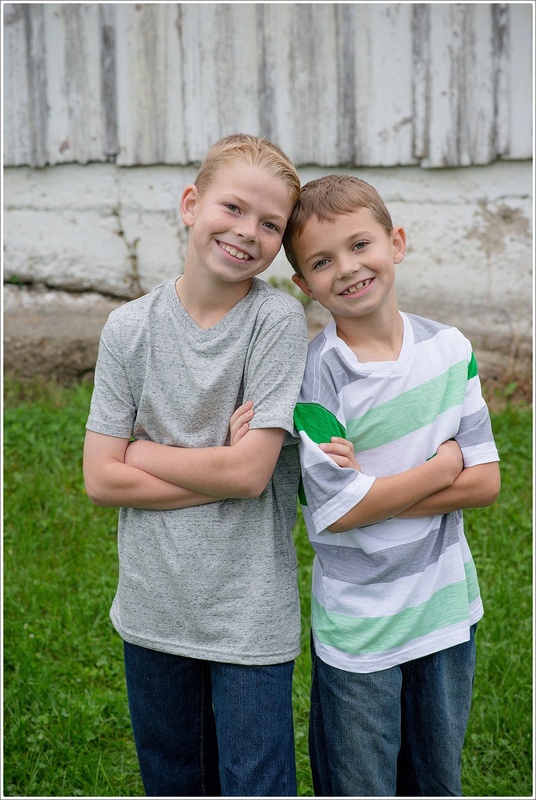 A few hours before their sessions was to started to rain! 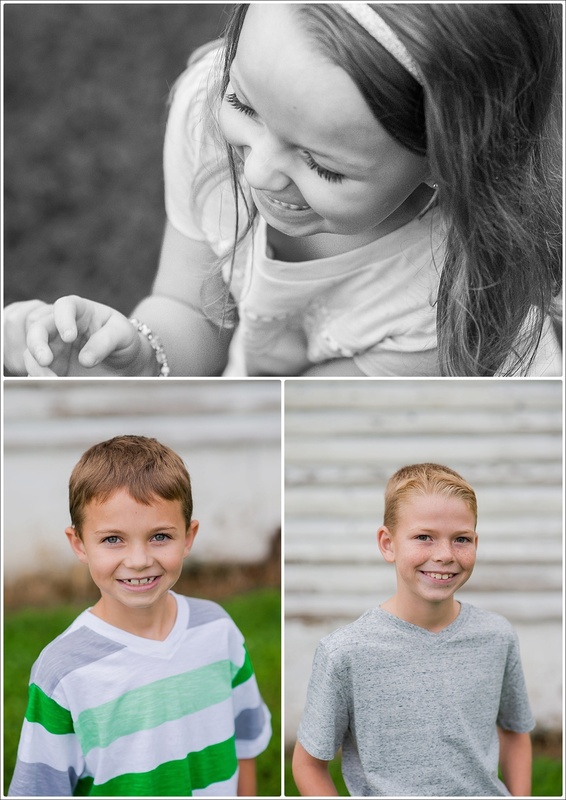 With the kids' schedules it was a feat to get the whole family on the calendar so we decided to forge ahead with the shoot. They had this amazing space right in town here in Chaska. Lots of older farm buildings with beautiful chipping wood, green spaces and bright outfits to tie everything together. I loved it - even in the rain! 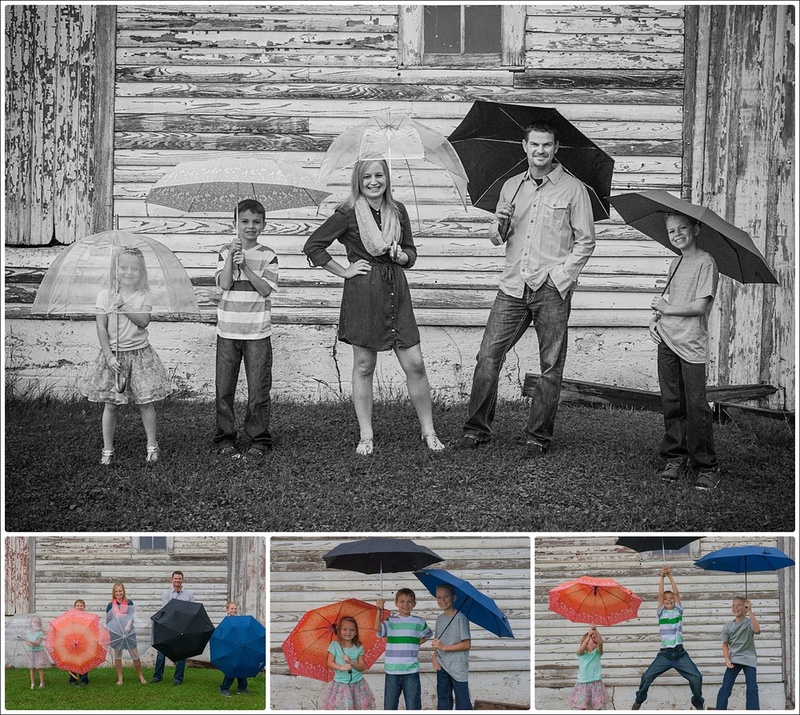 We did some playful images with cute umbrellas and overall had fun exploring and taking photos outside. 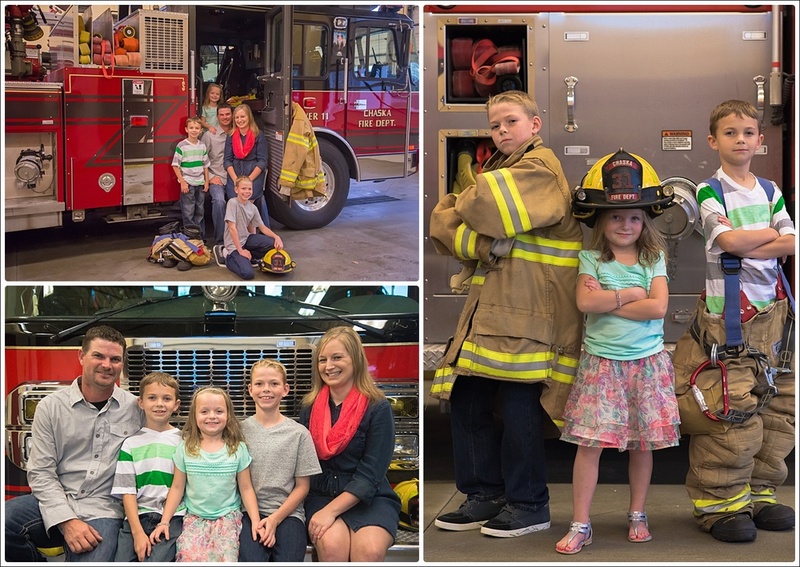 Dad is a firefighter at Chaska's volunteer Fire Department so we got the thumbs up to take photos there. We had a good time using the trucks as props and the kids were all very comfortable and respectful of the equipment. It's was clear they were taught how to act in the fire house.